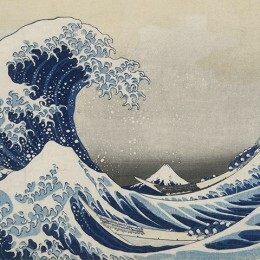 One of Hokusai's many sources of inspiration was water. 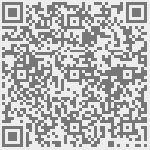 And in this collective exhibition, we are motivated by nine selected pieces of Japanese woodcuts. Katsushika Hokusai 葛飾 北斎 (1760– 1849) was a Japanese artist born in Edo (now Tokyo) and is best known as author of the woodblock print series 'Thirty-six Views of Mount Fuji' ,which includes the internationally iconic print 'Under the Wave off Kanagawa'. The Teachers’ House stands right in the middle of Tallinn - in the Town Hall Square. 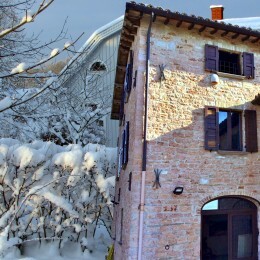 Together with the surrounding buildings it has been in the centre of events for the last seven centuries. Painting and drawing are my main techniques, but I like to work in mixed materials with chalk, spray, templates and textiles. 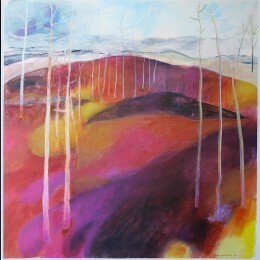 Colour is what comes first - when I find the nuances, the contrasts, the luminosity, then I also find the shapes. 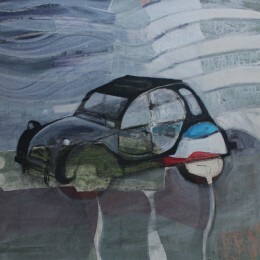 The political '68 affected me in different directions and made me falter before I stood steadily at the easel. Nowadays, I think that each theme, each artwork, each intention requires its expression, its image, - the color, shape, and content. Kenneth Engblom is a painter whose art is mostly inspired by old houses, churches and towers which he has spotted during his travels in Italy, Spain, Estonia, China and other countries. He prefers to show his art in most unexpected places like in the catacombs of the Crypt Gallery in London, the old cable factory in Helsinki, the antique furnace in Deruta, the Glyptotheque in Tartu, the medieval castle tower in Paide, the Forsby-Köping limestone cableway or the open air museum of Mannaminne. Cecilia Ciscar has taken on the project to fill tram nr. 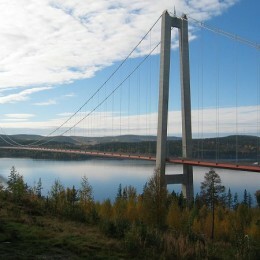 143 from Norrköping with passengers. 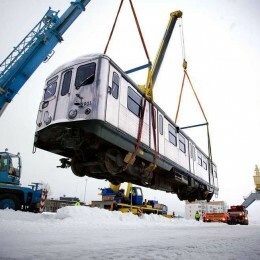 The tram retired in 2000 and found a resting place in Ångermanland 2 years later, far from its place of birth and far from its workplace. In the summer of 2018 the visitors to Mannaminne will meet Cecilia Ciscar's faces, which together with the tram will become one work of art. 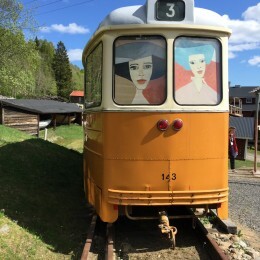 The 'streetcar faces' observe the wide entrance of this open-air museum created by Anders and Barbro Åberg. 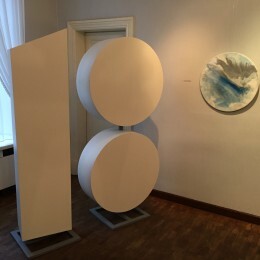 Our summer exhibition in Mannaminne has already become a tradition. This summer we have at our disposal the high-vaulted Örnlogen which is ideal for larger artworks; the timbered cottage from Estonia with its intimate interior and the first tram in Tallinn - a somewhat unusual but cool space for an exhibition. 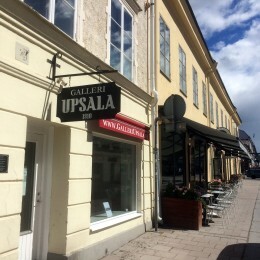 In the heart of Uppsala, among small boutiques, coffee shops and galleries you find Gallery Upsala located in a charming house from 1810. 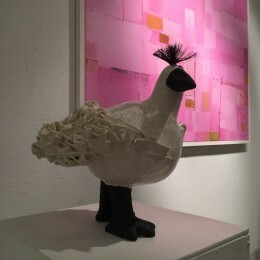 Teamwork - a duo-exhibition with the sculptures of Lisa Leander Ahlgren and paintings of Lena Ehn. Two artists, two friends who have known each other since the 80ies and have shown their artwork together at several occasions.